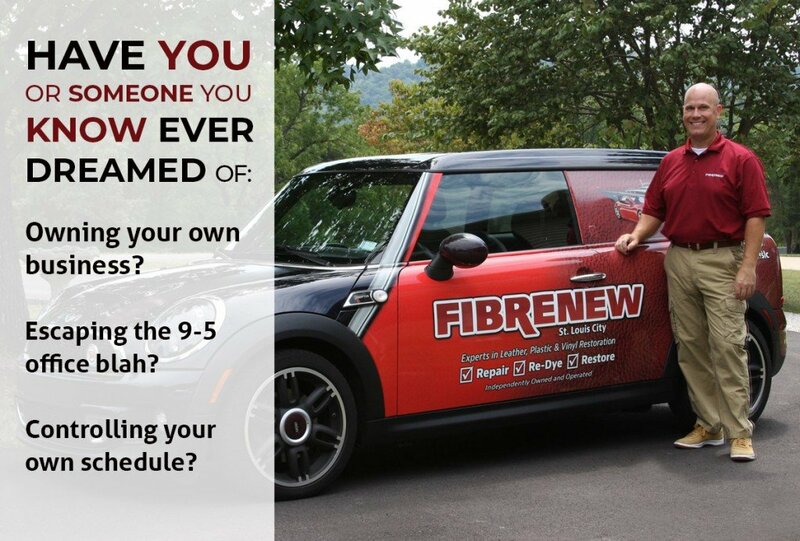 If you are looking to break out of the office or workplace and be your own boss, enjoy the freedom of a flexible lifestyle and build a solid financial future for you and your family, Fibrenew may be the unique opportunity that you’re looking for. Fibrenew restores leather, plastic and vinyl. Operating as a mobile service franchise, we cater to the aviation, automotive, commercial, marine, medical and residential markets. There is leather, plastic and vinyl everywhere that becomes damaged through normal wear and tear – in homes, offices, vehicles, hospitals, clinics, gyms, restaurants, hotels and much more. That’s where Fibrenew comes in – offering an option for customers to restore damaged items instead of replace them which saves money, time and Mother Earth. Our customers love us for this. With revenue streams across multiple markets along with a high demand for our services, our company and franchisees have grown and thrived through every rise and fall of the economy over the past three decades. That really speaks to the fact that there is always a need for our services. Since 1987, we have built and refined a robust business system. This includes the research and development of a proprietary product line, highly specialized techniques as well as rock-solid support, operations and marketing systems. The strength of our business model, the quality of our products and services and our enthusiasm for what we do all contribute to the success of 240 Fibrenew franchises around the world. Are you looking for a new career where you can be your own boss and take charge of your financial future? Fill out the form below to download a PDF Information Package and learn more. Our promise: no high pressure sales calls, just the info you want. Secure form. Your info is safe. Fields marked * are required, thanks! Fibrenew respects your privacy. 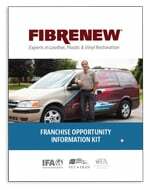 We may contact you with further info about our franchise opportunity but we will not sell or distribute your personal info to a 3rd party.